What can I say? The industrious little bee inspires me to make stuff. When beekeeping season winds down and there is less distraction outdoors, crafting season swings into full gear. 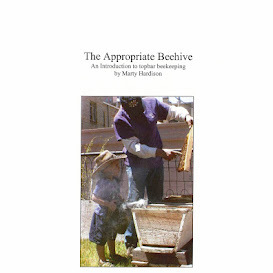 Here is a sampling of handmade items, many made with beeswax from my hives. New this Fall are instant digital downloads. Fans requested prints of some of my Instagram photos so now, for much less than a typical fine art print, you can buy the digital file and print off any size you want. First in the series: Super Green Bee on Pink Flowers. Second in the series is in post-production. Be sure to "favorite" my shop when you visit and Etsy'll notify you when the next is added. Now offering USPS 1st-class as a lower-cost shipping option for you. Be sure to look around in the shop. Several listings have design options that you can see if only you click through. Also, I've way underpriced my products in comparison to other makers, so hurry into the shop and make a purchase before I raise prices.